Home /China, India/China-India Maritime Security: Competition or Cooperation? 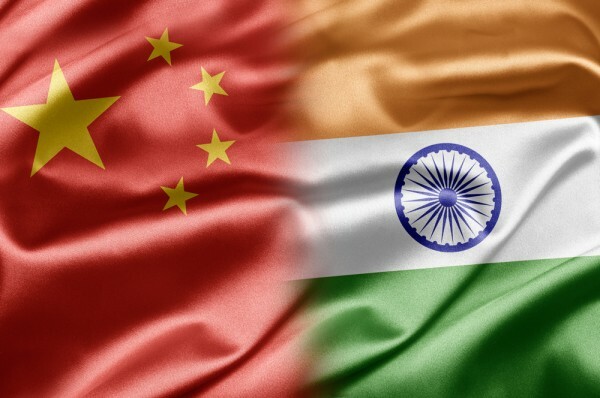 The recent border standoff between China and India has attracted the world’s attention and incited heated debates about the two countries “strategic competition”. Once again, the trigger is the chronic border issue, which is viewed as the trickiest problem for bilateral relations. However, if we consider broader and longer-term perspectives on Sino-Indian relations, we may conclude that the maritime arena is also a cause for concern. With the extension of interests and presence into each others’ neighbouring waters and efforts towards a “blue navy” on both sides, there is an increasing overlap and interaction between China and India in the maritime arena. On the one hand, China and India share common interests in safeguarding Sea Lines of Communication, anti-piracy and other strategic considerations. On the other hand, the two countries view each others’ maritime activities with serious concern. There are some voices that argue that an “Arc of Sino-Indo Maritime Competition” has emerged within the Indo-Pacific region. An increase in maritime tensions between China and India have become increasingly more apparent over the past few years. In the West Pacific, Indian PM Narendra Modi appeared to have turned away from his predecessors’ cautious attitude toward the South China Sea (SCS) issue. During Modi’s first official visit to the United States in September 2014, the U.S.-India Joint Statement stated that “the leaders expressed concern about rising tensions over maritime territorial disputes, and affirmed the importance of safeguarding maritime security and ensuring freedom of navigation and overflight throughout the region, especially in the South China Sea.” It’s the first time that SCS was mentioned in a U.S.-Indian joint statement. Since then, the SCS have become an indispensable topic during high-level visits between India, the U.S. and Japan. Compared with his predecessors, Modi became very vocal on the SCS issue at both the India-ASEAN Summit and East Asia Summit (EAS). Former PM Manmohan Singh attended the India-ASEAN Summit ten times and the EAS nine times, but only mentioning the SCS twice, with a moderate tone, during his speeches. In contrast, Prime Minister Modi talked about the SCS each time he attended the above-mentioned summit. China views India’s “increasing interest” in the SCS as convergence or alignment with the U.S. and its regional allies, such as Japan and the Philippines. The formal inclusion of Japan into the annual Malabar exercise has further deepened Chinese concerns. In the Indian Ocean, the Indian government has become more assertive in acquiring regional preeminent status, with China in mind. In its latest version of maritime security strategy in 2015, the Indian government lists almost all sections of the Indian Ocean as its “primary areas” and is committed to being the “net security provider in the maritime neighbourhood”. This argument was echoed repeatedly by Indian officials and scholars on many occasions, including Prime Minister Modi’s remarks at the second Raisina Dialogue that “the primary responsibility for peace, prosperity and security in the Indian Ocean rests with those who live in this region.” Although India has its own agenda in IOR affairs, it’s widely believed that the “China factor” is a cause for concern. For many years, the theory of a Chinese “pearl string strategy” has been very popular in India. Although China still lacks a formal and systemic Indian Ocean strategy, it’s widely believed in New Delhi that China’s increasing power presence in the IOR will challenge India’s interests. Particularly after the Chinese government’s efforts in pushing forward the 21st Century Maritime Silk Road (MSR) initiative. This combined with the strong willingness of India’s neighbouring countries’ to participate in the MSR has resulted in India reacting strongly towards any indication of Chinese maritime security cooperation with its new economic partners. It’s reported that India became very angry with Sri Lanka’s former President Mahindra Rajapaksa for allowing Chinese submarines’ to visit port Colombo in 2014. China’s increasing presence in Gwadar and Djibouti will further incite concerns from India. In practice, the Modi government has taken many measures to ascertain its status in the IOR, such as a “charm offensive visit” to some island countries, sponsoring 1.5 track dialogues with IOR countries, initiating the Project Mausam and pushing forward the Asia-Africa Growth Corridor with Japan. 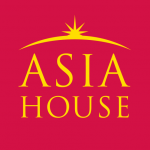 So, is an increase in Sino-Indian maritime competition inevitable? Are there some ‘win-win’ alternatives for the two emerging powers? If a more holistic and pragmatic approach towards the Sino-Indian maritime security relationship is taken, I believe there’s still space for further cooperation. On the one hand, the two countries’ primary maritime interests don’t overlap with each other. For China, despite increasing overseas interests in the IOR, the priority is to deal with challenges in the West Pacific region, such as the East China Sea, the South China Sea and the Taiwan issue. The main security challenge is also from West Pacific. Considering its available policy resources, it’s pragmatic for China to invest more resources in the West Pacific, instead of “hitting out in all directions”. For India, based on its policy statements and practice, the main focus is still in the IOR. Although they may be allured by some countries to play a more active role in the West Pacific, particularly on the SCS issue, India still lacks the capacity to challenge Chinese interests there. On the other hand, increasing maritime competition will backfire and lead to a ‘lose-lose’ scenario for both countries. Both rely heavily on overseas trade, of which over 90% is via sea route by volume, including a large proportion of oil, gas and other strategic resources. Thus, the destabilized maritime security situation will harm both countries’ interests. Both China and India can’t achieve their national goals by increasing rivalry with each other. For China, without India’s support or understanding, it will be extremely difficult to push forward its MSR initiative. For India, confrontation with China on maritime perspectives will only result in a more risky security environment, where they will face challenges from both the land and sea. Moreover, both China and India cherish strategic autonomy in their foreign policy, and will not allow themselves to be hijacked by other third parties. In future, the two countries have to strengthen their strategic communications to improve confidence building. Both share a strategic culture that is defensive, instead of offensive. Looking into Chinese and Indian history, we can find that despite chronic wars between successive dynasties, both countries only became semi-colonized or colonized by invasions from the sea. It’s deeply rooted in the two nation’s strategic culture to be alert to challenges and threats from the oceans. Thus, concerns related to potential maritime challenges are reasonable to an extent. This leads to the potential for common understanding. Indeed, although the situation is rather bumpy and thorny, the two countries have already put the maritime security issue on the radar through relevant channels. In practice, the two countries should unearth their common interests, such as anti-piracy, countering maritime terrorism, the protection of overseas interests and the evacuation of citizens from risky areas along with other concerns. The two nations can conduct joint training and operation in the above-mentioned areas. Moreover, as two emerging maritime powers, China and India could cooperate on international ocean governance issues, such as proposing Asian ideas to address maritime security relations among the big powers and an increasing presence in Arctic affairs and other related issues. Dr. LOU Chunhao is Deputy Director of the Institute of Maritime Studies at the China Institutes of Contemporary International Relations (CICIR). His research interests include India’s foreign policy, Sino-Indian relationship, Maritime Strategy and the South China Sea. Image credit: CC by Times Asi/Flickr.